* What if there was a secret message hidden in the blueprint of your DNA? * What if this message held the secret for living authentically with joy, creativity and ease? I'm excited once again to be sharing my love and passion for the most extraordinary system EVER for self-discovery, love, illumination, and mastery - Human Energy Design, The Sacred Blueprint of your Soul. Join Spiritual Journalist and Host Lauren Galey and me for a High-Vibe Quantum Conversation where you'll discover your unique soul blueprint for living life authentically and fully expressing your genius with the world. 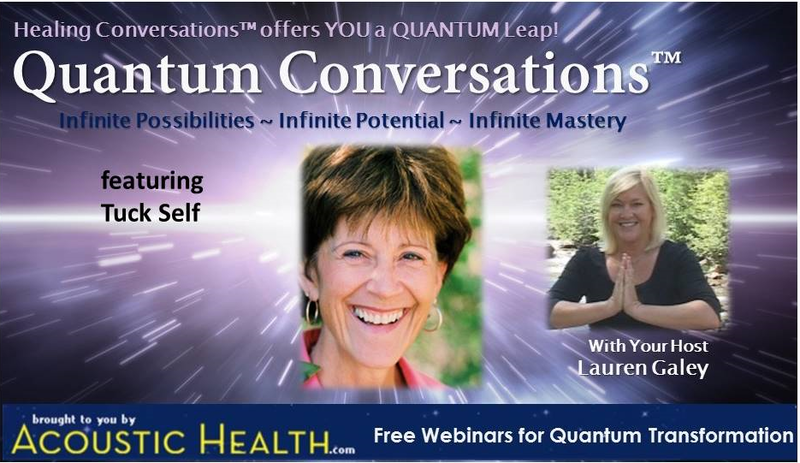 Lauren has created a beautiful space on Quantum Conversations with powerful, exciting and transformative teachers, lessons, meditations and activations, all to Inspire, Empower and Enlighten your journey. She has invited MOI' to join her series to assist in inspiring change, creating prosperity and abundance, opening hearts AND raising the frequency and vibration of the planet. I am delighted to do just that, and invite you to join our Quantum Conversation on February 1, 3pm Pacific / 4pm Mountain / 5pm Central / 6pm Eastern / 11pm Greenwich Mean Time. If you'd like to create the most fabulous year ever Being Who YOU Are while Doing What You LOVE, please be sure and join our fun, delightful and informative conversation. We'd love to hear you, and we'd love to hear your feedback and questions.